Down & Out in DC: Alexandria Ocasio-Cortez, the forthcoming freshman representative from the Bronx, tweeted about her inability to afford housing in D.C. until her congressional salary kicks in. Ay Caramba, BART: San Francisco's new $2 billion transit center dubbed the "Grand Central Station of the West" shut down just months after opening due to structural cracks and sinking foundations. There Is No West Coast Real Estate Bubble. Maybe. With prices in many cities coming down from all-time highs and a sharp increase in properties dropping their asking prices (more on that below), the West Coast market certainly appears to be losing steam. But not every single lesson of the Great Recession was lost on banks. One tool lenders use to analyze mortgage applications is the loan-to-value (LTV) ratio—essentially, the percentage of the property's value that's mortgaged. As this chart from Redfin shows, West Coast buyers are shouldering far less debt than the last time ye olde bubble popped. From a lender’s perspective, a higher LTV ratio—like 90%—goes hand-in-hand with increased odds of default. And if that happens, the lender might find itself in a very compromising position: taking a loss on its investment. But you probably care less about your lender's finances than your wallet. You might not want to part with a lot of cash at closing by putting more money down, but a lower LTV offers advantages like lower interest rates. Then there's private mortgage insurance (PMI) which compensates the lender, not you, in case of default. But the lender doesn't pay for it; the homeowner does—all the way until reaching at least 80 percent in equity. Between higher interest rates and annual PMI premiums, high LTV buyers end up paying much more for their homes. Mortgage lenders appear to be playing their cards much more carefully since 2006. The chart demonstrates that on a typical million-dollar home in San Francisco, median buyers are sitting on nearly $250,000 in equity. Other hot markets like Los Angeles and Seattle have similar LTV ratios. Mortgage Rates Finally Go Down, But Is It Too Late to Rescue the Housing Market? Fire Sale: How Will the Winds Shift for SoCal’s Housing Market After Wildfires? What's Your number? 67? 68? 72? Are we getting warm? What temperature do you set your thermostat to in the winter? (Don’t worry, we won’t tell your landlord.) Are we hot or cold? 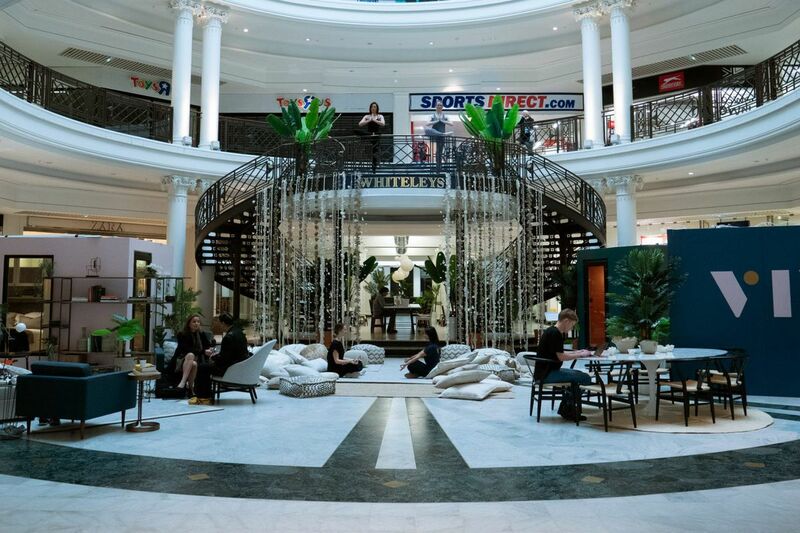 Brick-and-mortar retail isn't dead, but plenty of malls have sung their last song. Started by one of WeWork’s early employees, British co-living platform Vivahouse is angling for a piece of the dead space action with prefabricated units that can be installed in languishing shopping centers and other commercial buildings. Amazon Prime membership not included. What type of sink adds over 25% to a home’s sale price? Go ahead and blame the Gaines’, but according to a report from Zillow Group an entry-level home listing that featured the words “farmhouse sink” sold for 26% more than a comparable listing. What percentage of properties along Malibu’s “Billionaire Beach” does Oracle’s CEO Larry Ellison own? According to the LA Times, Larry Ellison spent the last decade "buying up the best spots along Malibu's 21 miles of coast," dropping an estimated $200 to $250 million on coastal properties. He owns at least nine houses on Carbon Beach (aka “Billionaire Beach”) and there are only about 70 private houses on the stretch, giving him a minimum 13% share of all properties on Billionaire Beach.